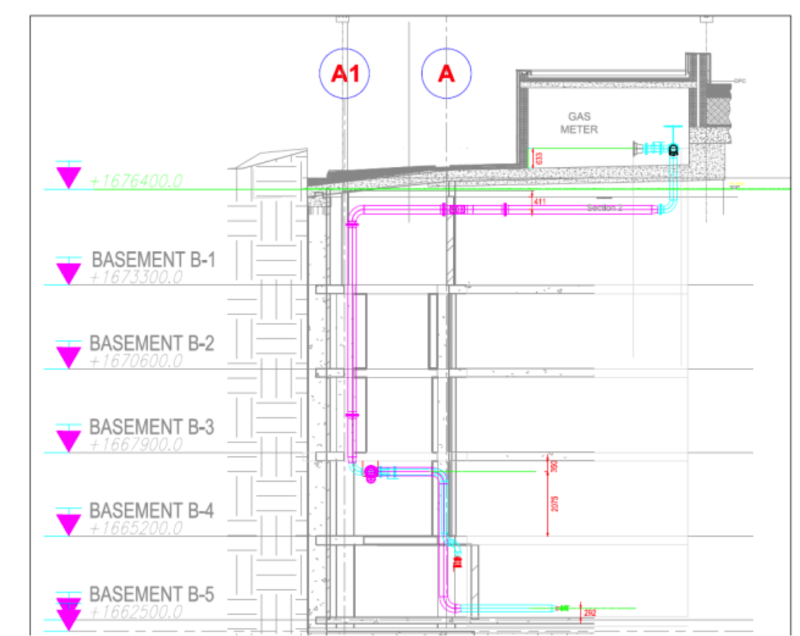 Design and supervision of the gas supply pipeline to the new offices for Standard Bank in Rosebank. The gas is used for generating power with gas-powered trigeneration plants, as well as access gas during off peaks to heat water with gas-powered boilers. VGI Consulting was responsible for the design of the supply line from the Egoli Gas supply point next to Craddock Avenue down to basement level -5 of the building where the gas-powered trigeneration plants and boilers warehouse are situated. 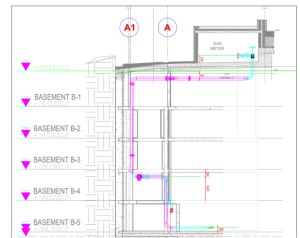 The pipeline was designed and modelled in Plant 3D to determine that the pipe will fit into the service corridor provided by the Architect, which house a number of services for the building as well as HVAC.